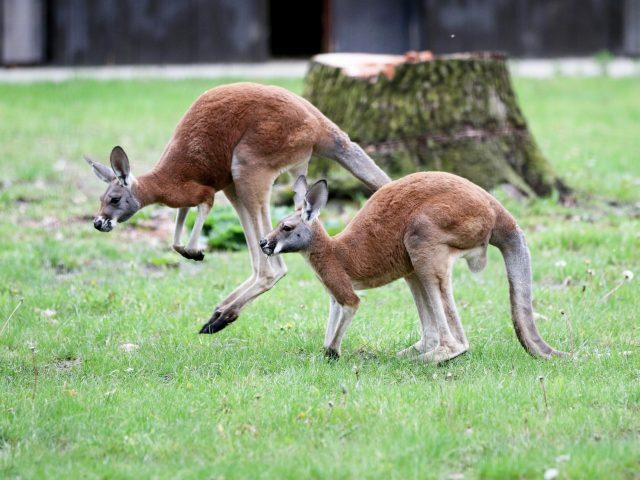 Red Kangaroos are marsupials, meaning a mammal that carries offspring in a pouch. 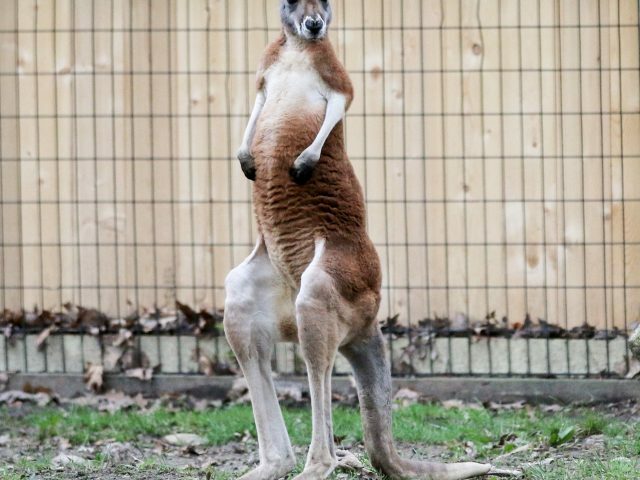 Native to Australia, red kangaroos are the largest living marsupial. In Australia, females are known as does or fliers and males are known as boomers or stinkers due to their strong odor. 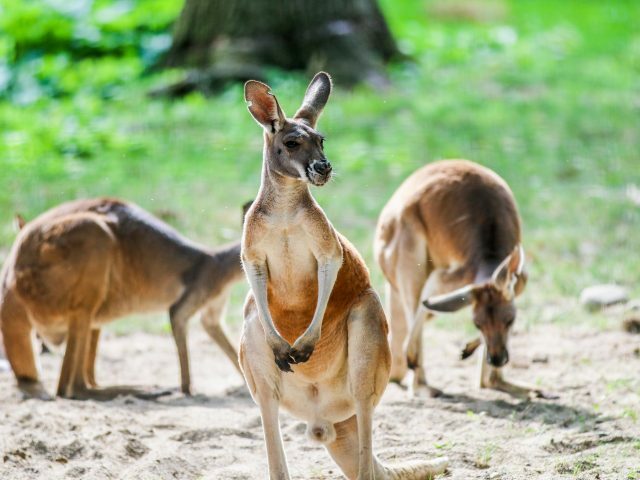 The male red kangaroo is typically a red-brown color and the females are more bluish-grey. However, some red females and bluish-grey males also occur, as well as individuals of intermediate shades. Red Kangaroos are often found resting in the shade during the heat of the day. They are most active from late afternoon to early morning. 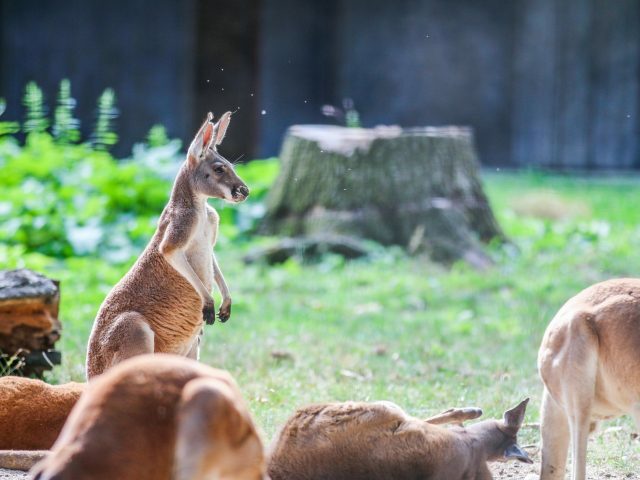 To cool the body through evaporation, kangaroos lick their forearms. 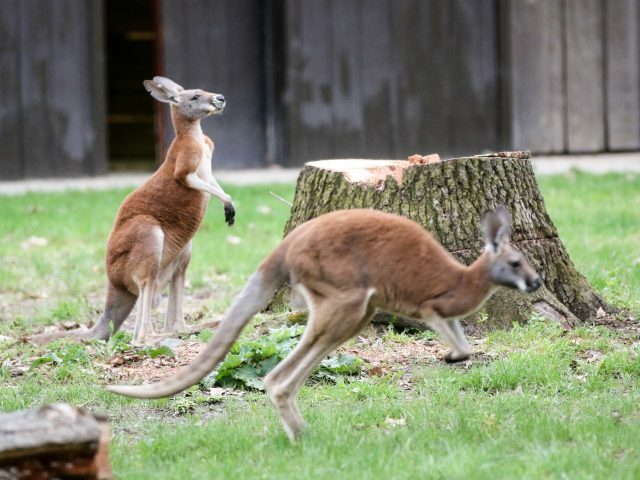 With powerful hind legs, these animals are able to reach speeds of up to 15 miles per hour! 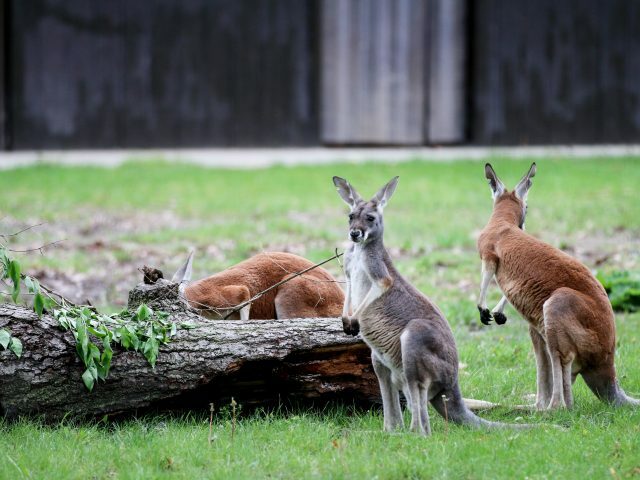 Potter Park Zoo is home to four red kangaroo, two young males and two young females. 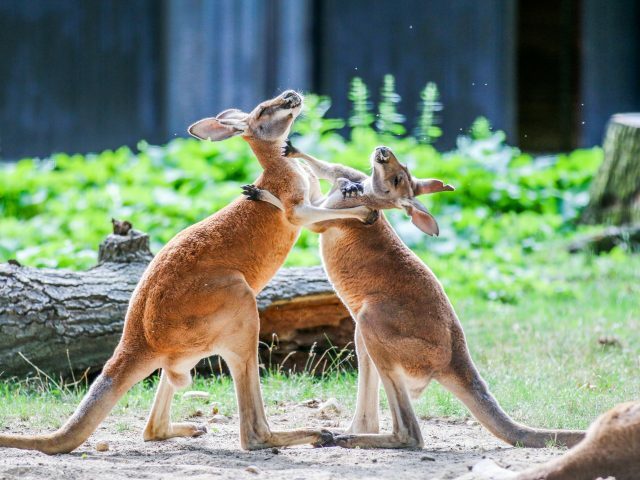 You can often see the boys ‘boxing’ in the yard. All of them enjoy sunbathing and dirt baths.